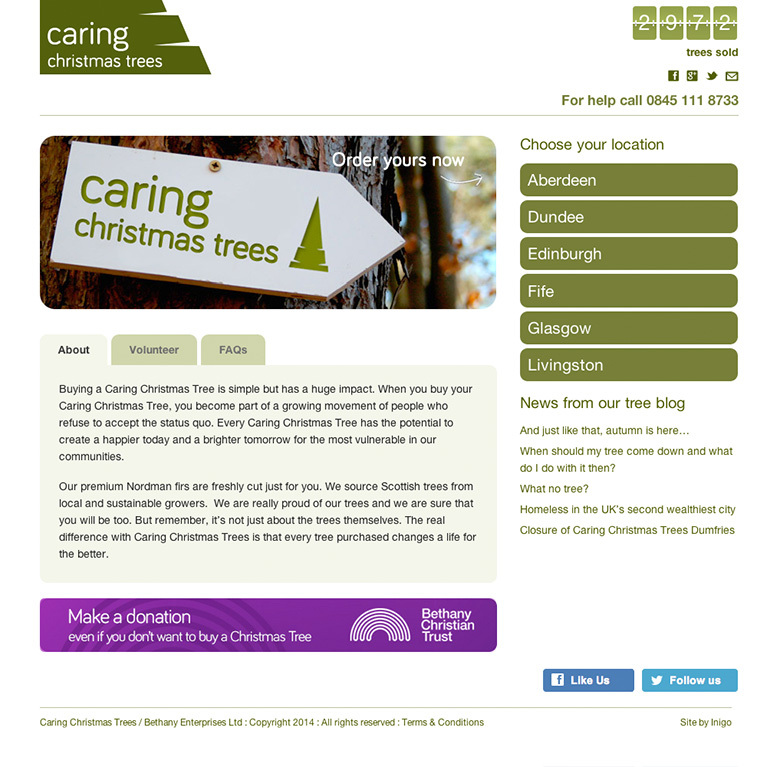 Jane Davidson were recommended to us in 2012 to redesign their online shop. 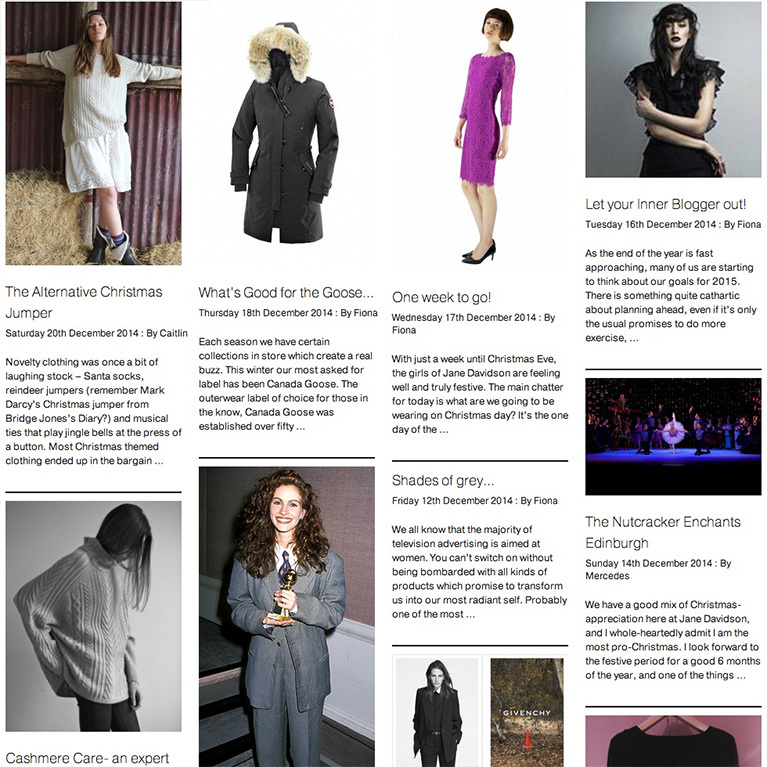 We researched the high end fashion market to find the best styling for the site. While we’d worked on clothing sites before, this was the first time to work on ladies fashion. 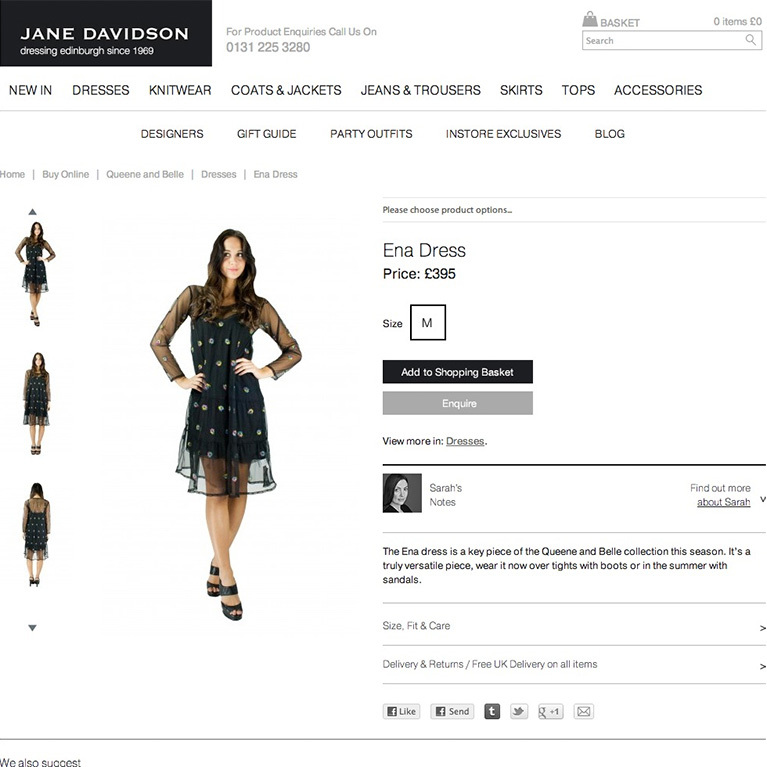 Something must have worked as the team at Jane Davidson won the award for Luxury Online Boutique of the Year at the 2014 Herald Fashion awards. The excellent photography of beautiful products and lots of fashion-y blog updates certainly helps. 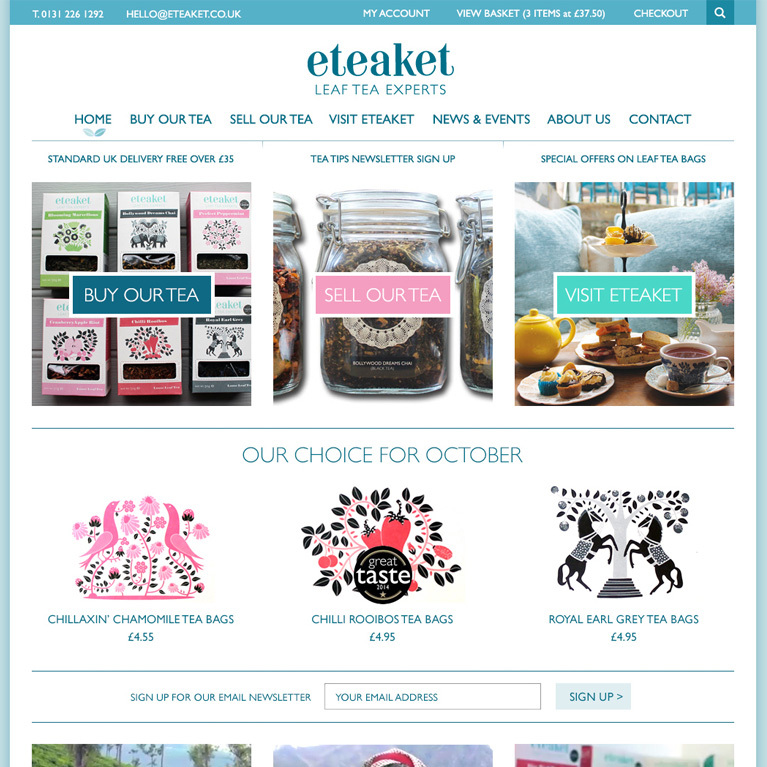 We worked with eteaket to update their WordPress / WooCommerce theme and to take them into mobile friendly online sales. 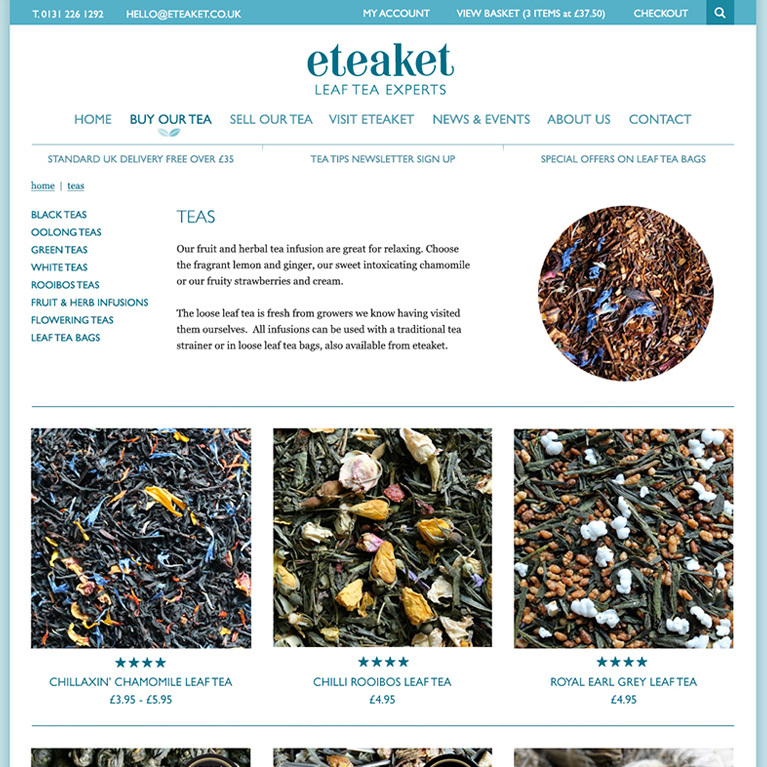 “Inigo developed beautiful designs for the new site and understood our business and different audiences. Dan is always on the end of the phone when we have any queries and the after care and support has been brilliant. 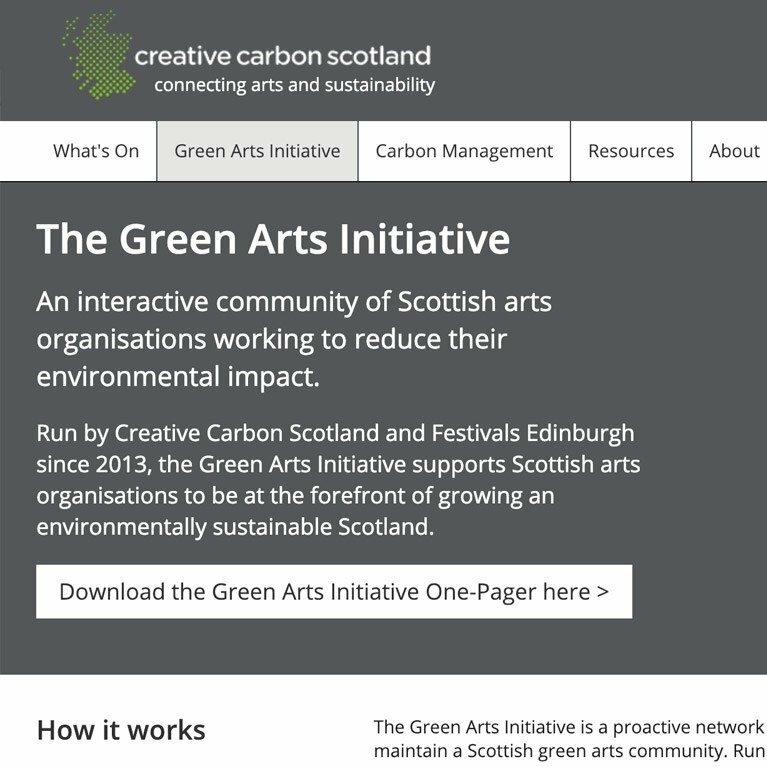 “We commissioned Inigo to build a high-quality and sophisticated yet value for money company website and the Green Arts Portal – a unique online resource available on our site to help Scottish arts organisations measure and reduce their carbon footprint. Inigo have been great to work with. They have a flexible working approach and have been quick to respond to any queries we’ve had along the way by meeting in person as well as phone and email. 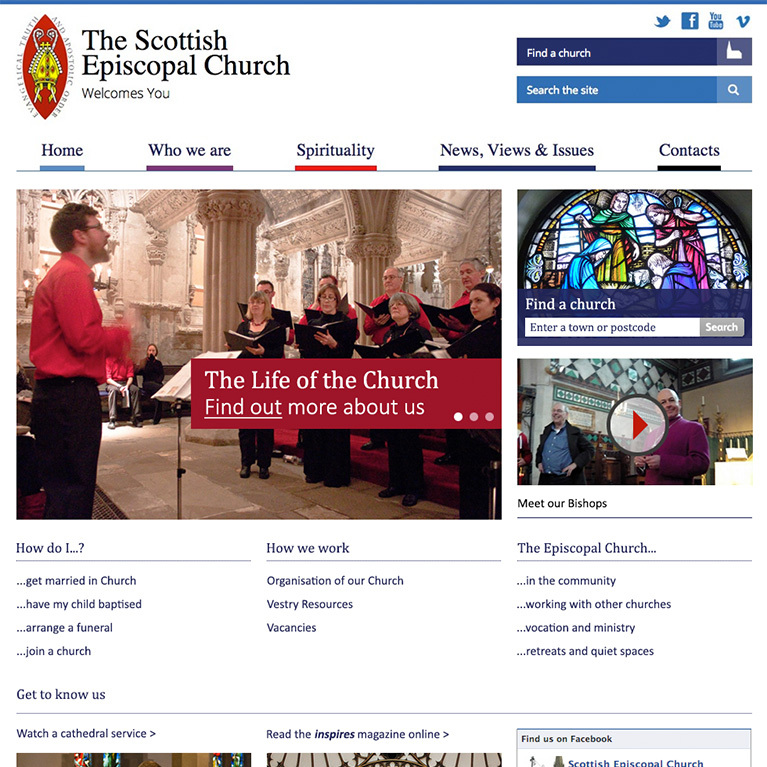 Through a tender and interview process we were selected to redesign and develop the website for the Scottish Episcopal Church. 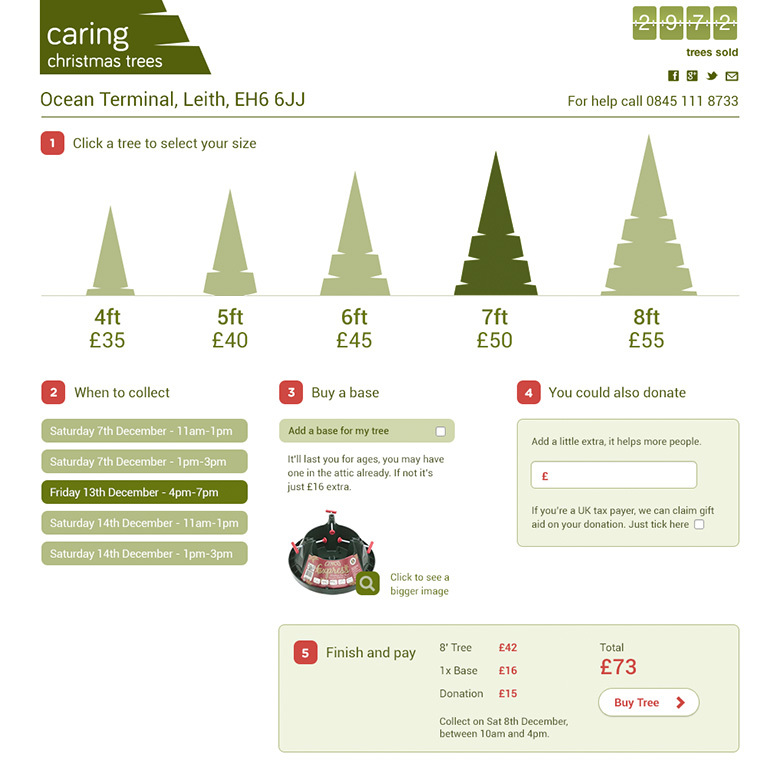 The new site was to make the denomination more approachable and communicate core messages to the general public with less jargon. 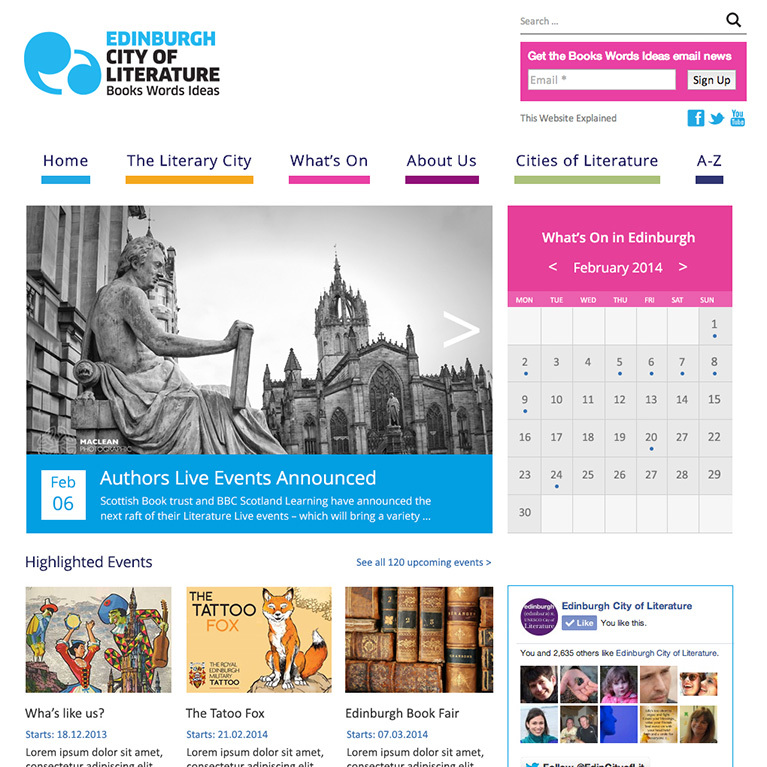 The solution was to pare down the site to simple sections, allowing users to dig deeper into the content as necessary. 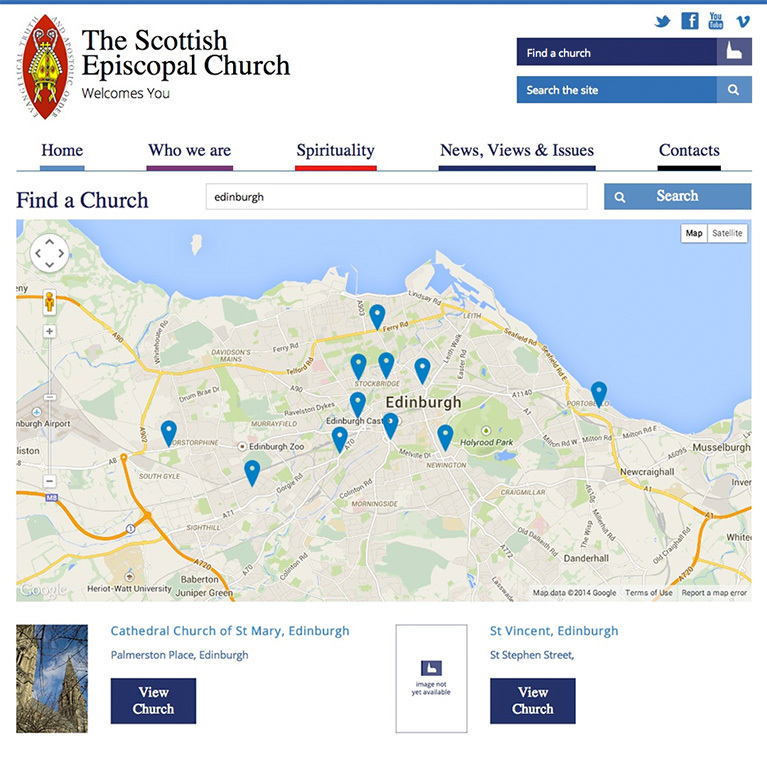 The site includes a church finder database and a media section. 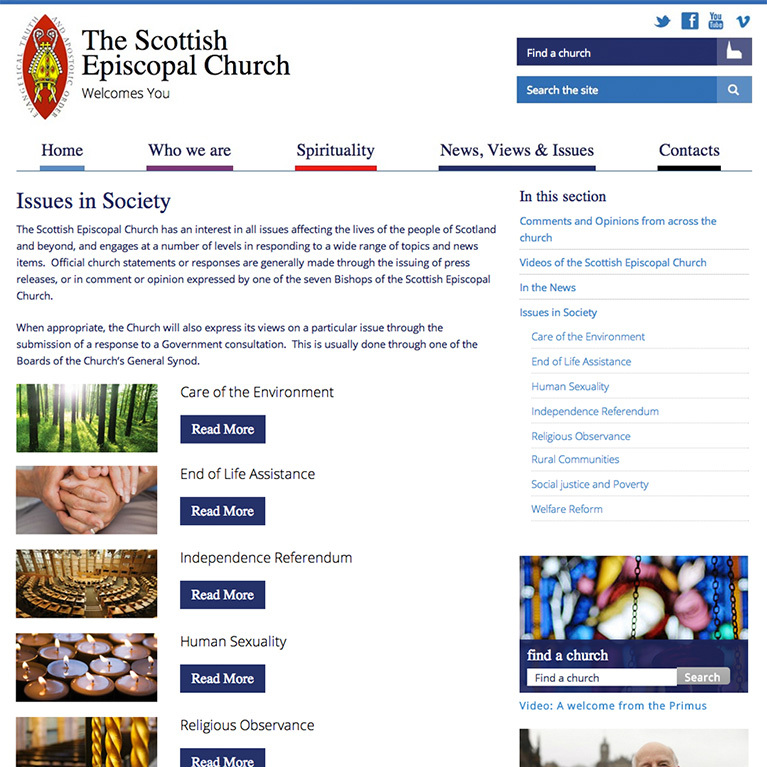 Each June the site is a key resource for those looking for information about the SEC General Synod. 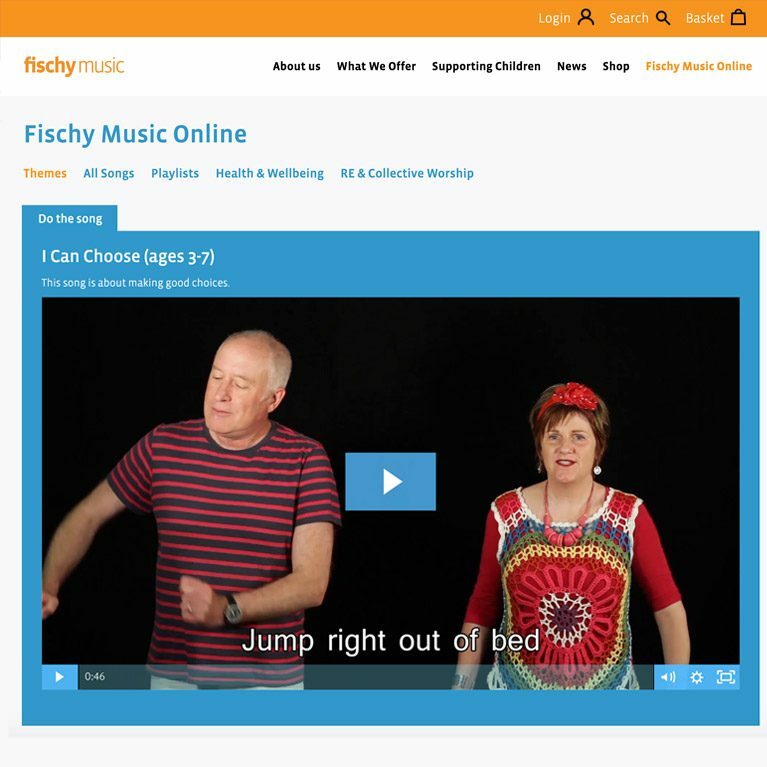 Fischy Music was our first client, back in the day, and they are still with us. 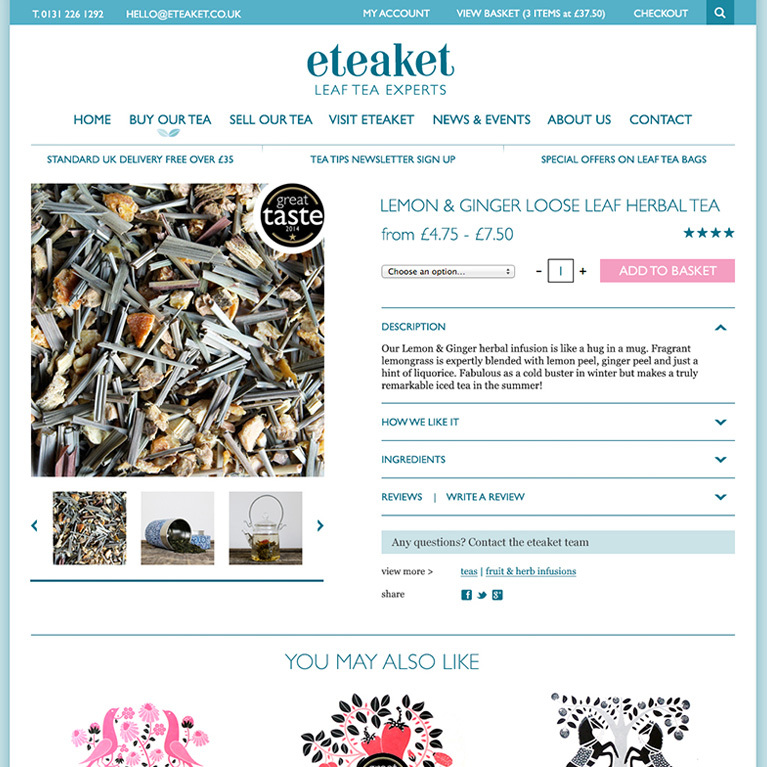 The most recent site includes WordPress and WooCommerce for subscriptions and online sales. “We have worked with Inigo since 1999. 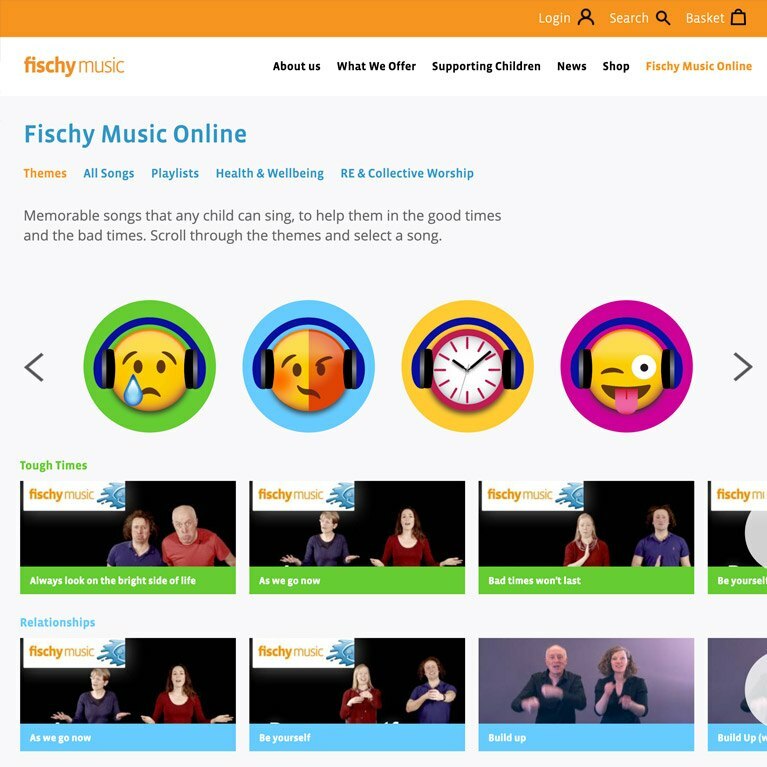 The most recent project is an online subscription service for primary schools. We value both their expertise and their flexibility to understand our detailed and specific requirements. 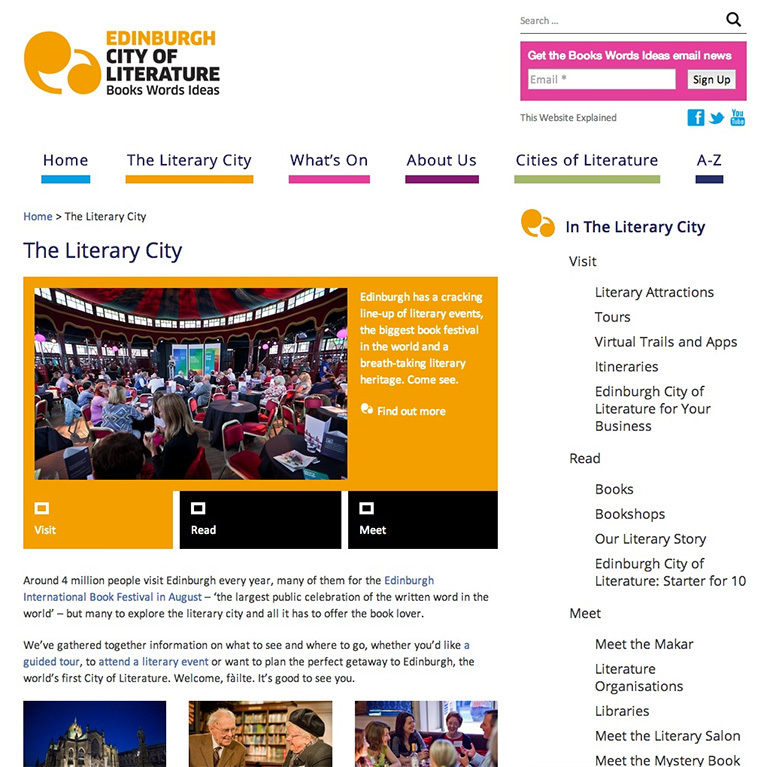 Inigo won a 16 way tender in 2013 to design and build a beta site for the Edinburgh City of Literature UNESCO Trust. 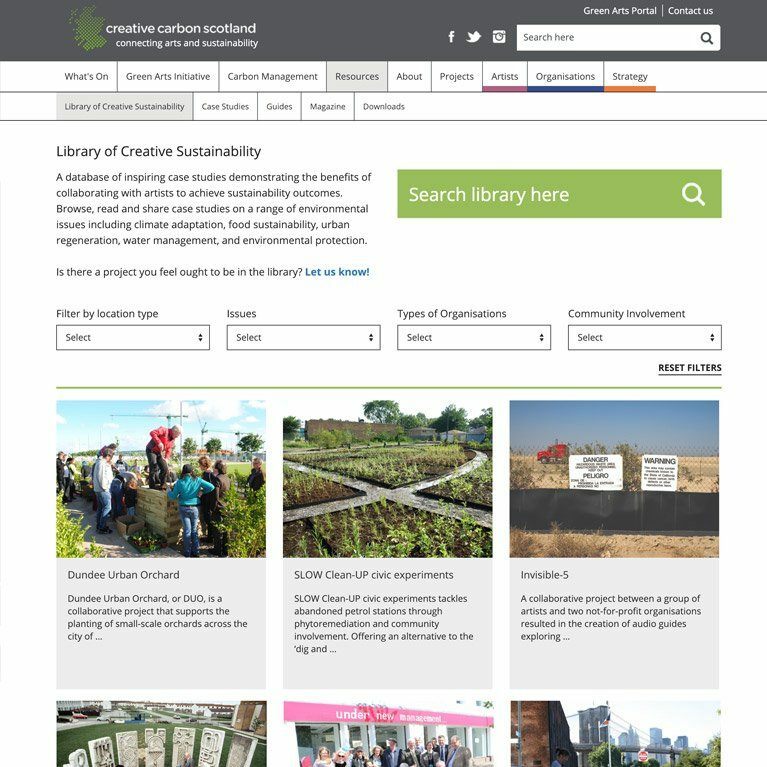 We worked with the Trust to identify the key content, slim down the requirement and then assist with the content migration from the old Microsoft based static system to a fully content managed WordPress solution. 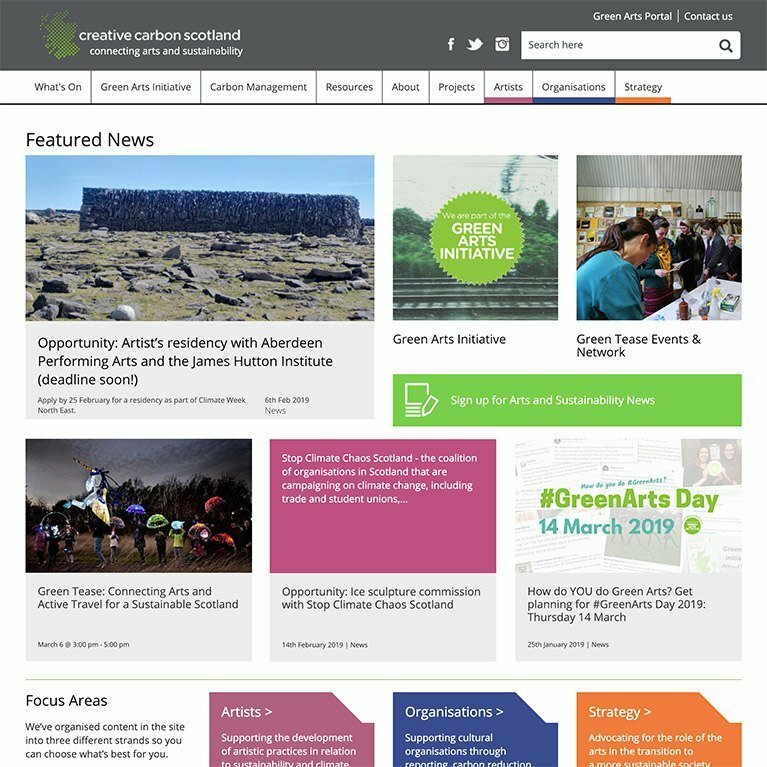 Core components include an events calendar and search and a flexible page content tool to allow the small team to add the content they need, including video and audio. 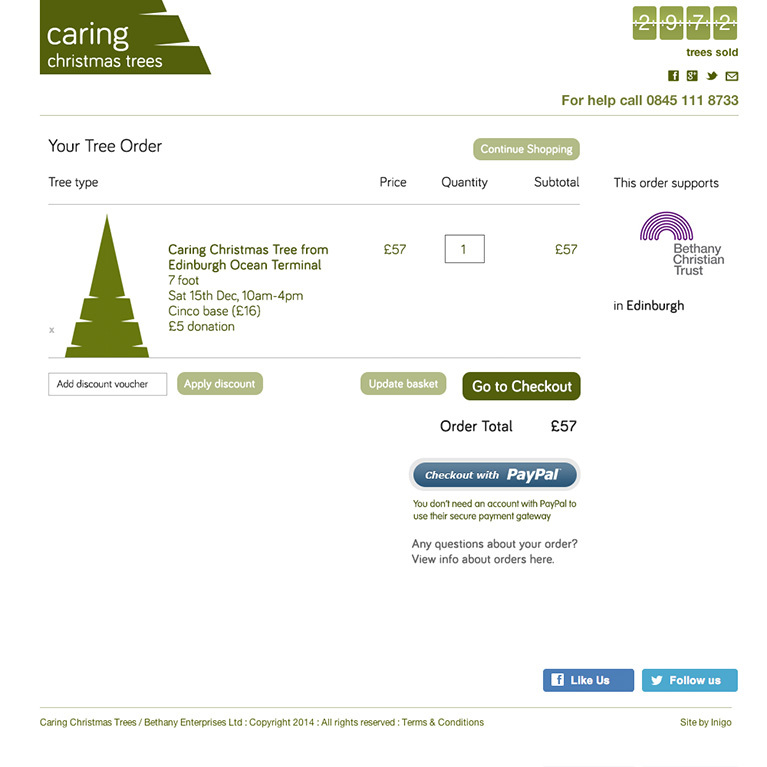 Bethany Christian Trust needed a site that would make ordering a tree simple for customers – on desktop and mobile. 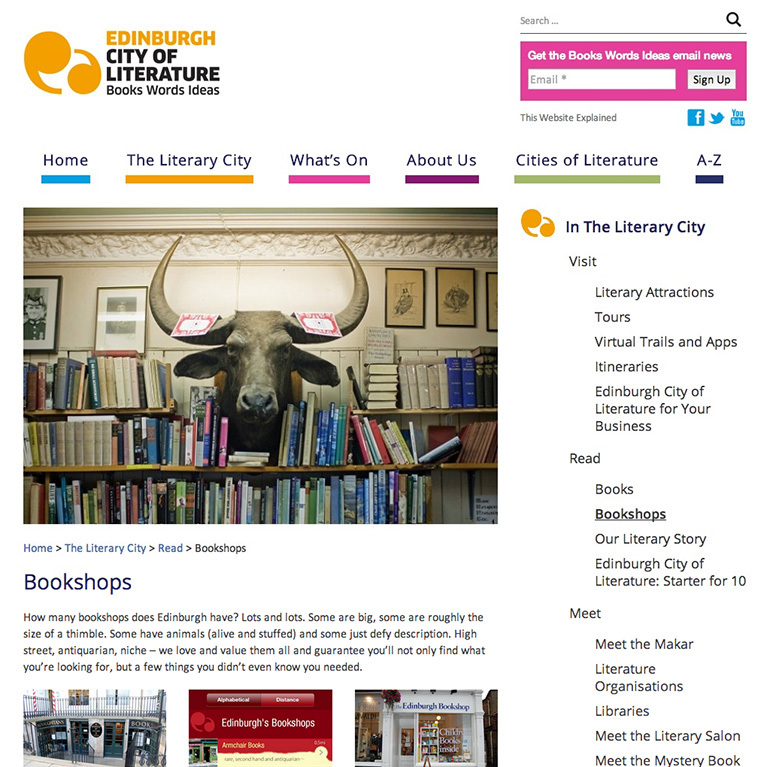 The site uses WordPress and WooCommerce. “Working with Inigo has been fantastic. They understand our business and deliver cost-effective solutions that really work.